Kishore Kumar was an Indian playback singer, actor, lyricist, composer, producer, director, and screenwriter. He is considered as one of the most popular and successful singers of Hindi film industry and from soft numbers to peppy tracks to romantic moods, Kumar sang in different genres but some of his rare compositions which were considered classics were lost in time. According to Ashok Kumar, Kumar's success lies in the fact that his voice used to hit the microphone straight at its most sensitive point. Udit Narayan is an Indian playback singer whose songs have been featured mainly in Bollywood movies of Hindi language. He has also sung in various other languages including Nepali, Maithili and Bhojpuri and Tamil. 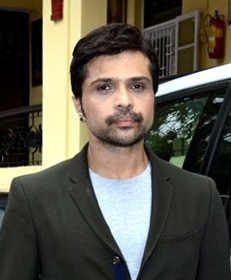 He has won 5 National Film Awards and 5 Filmfare Awards with 20 nominations among many others. He had to struggle a lot even after his debut in 1980 in Bollywood playback. 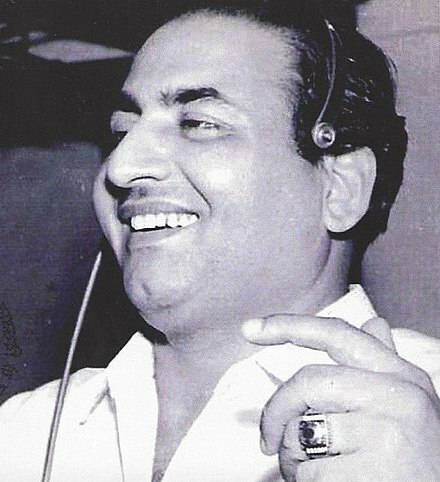 He got to sing with legends Mohammed Rafi in his Bollywood Playback debut in movie Unees-Bees in 1980 and also with Kishore Kumar in the 1980s. He finally made his mark in 1988 movie Qayamat Se Qayamat Tak starring Aamir Khan and Juhi Chawla, his song "Papa Kehte Hain" was his notable performance which earned him his first Filmfare Award in the 1980s and he established himself in Bollywood Playback Singing. He is the only male singer in the history of the Filmfare Awards to have won in over three decades. Nepal, officially the Federal Democratic Republic of Nepal, is a landlocked country in South Asia. It is located mainly in the Himalayas, but also includes parts of the Indo-Gangetic Plain. With an estimated population of 26.4 million, it is 48th largest country by population and 93rd largest country by area. It borders China in the north and India in the south, east, and west while Bangladesh is located within only 27 km (17 mi) of its southeastern tip and Bhutan is separated from it by the Indian state of Sikkim. Nepal has a diverse geography, including fertile plains, subalpine forested hills, and eight of the world's ten tallest mountains, including Mount Everest, the highest point on Earth. Kathmandu is the nation's capital and largest city. Nepal is a multiethnic nation with Nepali as the official language. 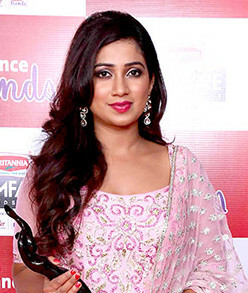 Two singers have achieved the feat of receiving all the nominations of this category in a particular year: Mohammed Rafi was the single nominee in 1969, having all the three nominations to his credit, while Kishore Kumar was the single nominee in 1985, having all the four nominations to his credit. Incidentally, Kishore Kumar's all nominated songs were from a single movie, Sharaabi . Mahendra Kapoor was an Indian playback singer. Laxmikant–Pyarelal were a popular and successful Indian composer duo, consisting of Laxmikant Shantaram Kudalkar (1937–1998) and Pyarelal Ramprasad Sharma. They composed music for about 635 Hindi movies from 1963 to 1998, working for almost all notable filmmakers, including Raj Kapoor, Dev Anand, B.R. Chopra, Shakti Samanta, Manmohan Desai, Yash Chopra, J. Om Prakash, Raj Khosla, L V Prasad, Subhash Ghai, K Viswanath and Manoj Kumar. Datta Naik, also credited as N. Datta, is a Hindi film music director. Born in the then Portuguese colony of Goa, Naik, started his career as an assistant to the legendary music director Sachin Dev Burman in films like Bahar, Sazaa and Ek Nazar (1951), Jaal (1952), Jeevan Jyoti (1953) and Angarey (1954). His partnership with songwriter Sahir Ludhianvi was popular and successful. He died on 30 December 1987. The 40th Filmfare Awards were held in 1995, with Sooraj Barjatya's Hum Aapke Hain Koun..! dominating the night. Hum Aapke Hain Koun..! is a landmark film for Bollywood, and is the sixth highest-grossing Hindi-language movie of all time. However, Vidhu Vinod Chopra's 1942 A Love Story was the biggest winner, with no less than 9 wins.This event was capitalized by RMD Pvt Ltd.
Deewana Hoon Pagal Nahi is a 1998 Hindi film starring Ayesha Jhulka and Vikas Bhalla in the lead.